You know your life has changed when someone has touched your soul. 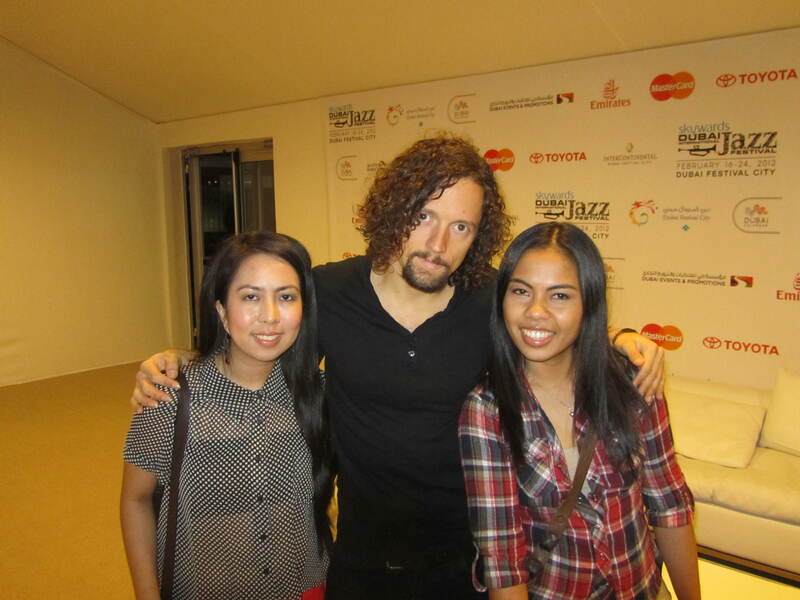 Jason Mraz did, and I just had the most surreal experience to date. 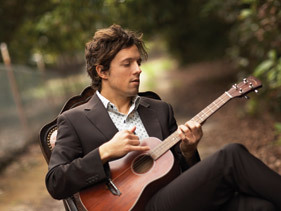 As most of you know (or, don’t know), I am a huge fan of Jason Mraz. I can’t say that I am his biggest fan. Though I’ve known his music for quite some time, it was only last year that I really had a deeper connection to his songs. His songs has touched me on a level in which I was saved the moment that I needed to be, and I didn’t even know that it was happening. With a butterfly effect, I know that my life has changed forever (ask me about it, and I’ll tell you my story). 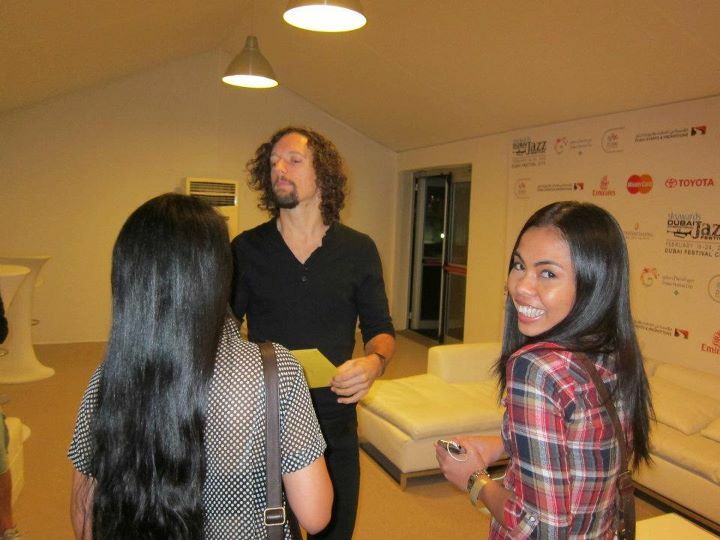 Jason Mraz went to Manila last year and I had to miss it because of the situation that I am in at that moment. After some reassessment, I knew that I can’t always be impulsive and waiting for the next strike would be the best fit. And so, when I found out that he was playing at the Dubai Jazz Festival on the 23rd of February, I knew that it was something that I can’t miss. Being his fan, by default my preference of seats would be the front. But as I have company, I could settle anywhere, for as long as I am there, it doesn’t really matter. 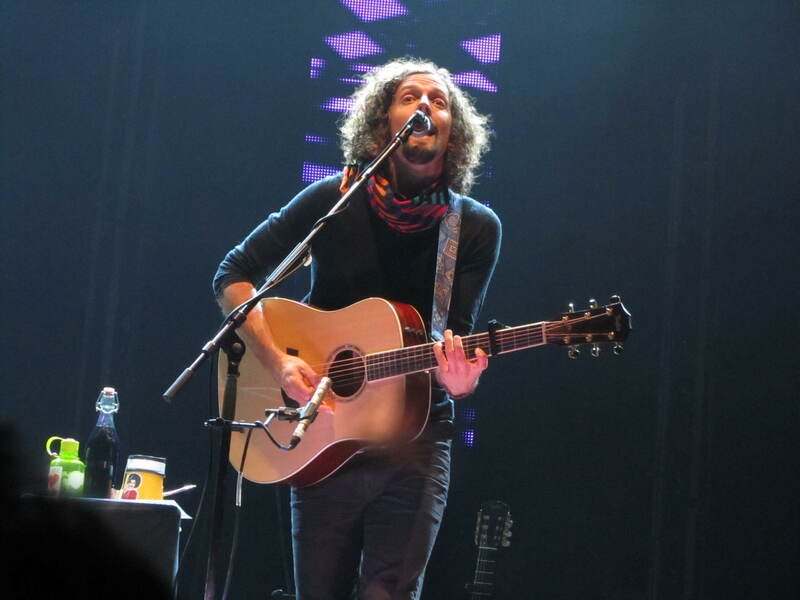 Watching him perform live is already a bonus for me… That man whose words has touched my soul, I couldn’t be happy enough. 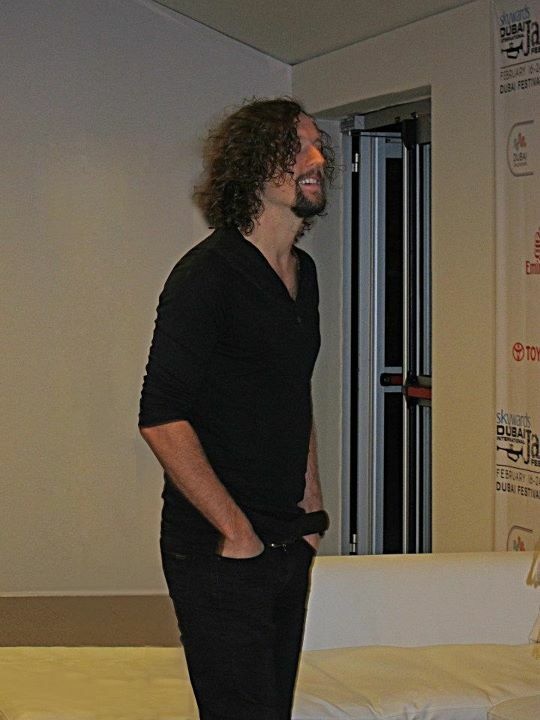 As days went closer to the concert day, I’ve got this urge to see him, meet him in person. I really wanted to see him to thank him personally for helping me through his music. It’s hard to explain (but thinking of how grateful I am makes me teary-eyed… just like now while I’m typing this). Nooooo, I can’t be that fan-girl who cries because she’s a fan. But I guess, if someone has really helped you get through to something, if someone has touched your soul, if someone has helped you overcome your own negative vibes, and if someone has influenced you not to worry your life away (by nature, i am a BIG worrier), then crying as a fan-girl should be acceptable. These things, these are the reason why I wanted to meet him. I wanted to tell him, thank him personally for inspiring me. 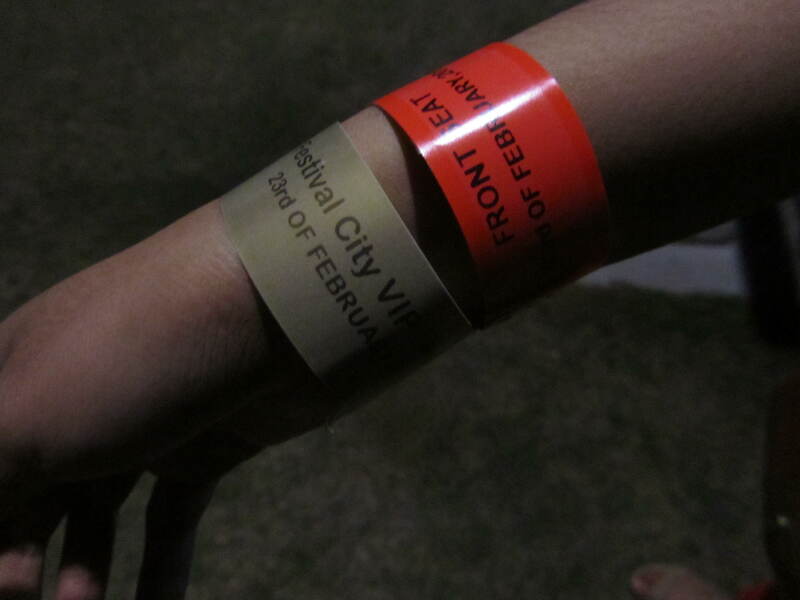 February 21, 2012, I went to pickup the tickets that we bought at the Chillout Productions office. Though they said that I could just get it at the venue, I decided to just go anyway, because I prefer having physical tickets in my hands beforehand (I was very excited), plus the fact that I don’t want any more hassle prior to the show. The staff at their office were Filipino. 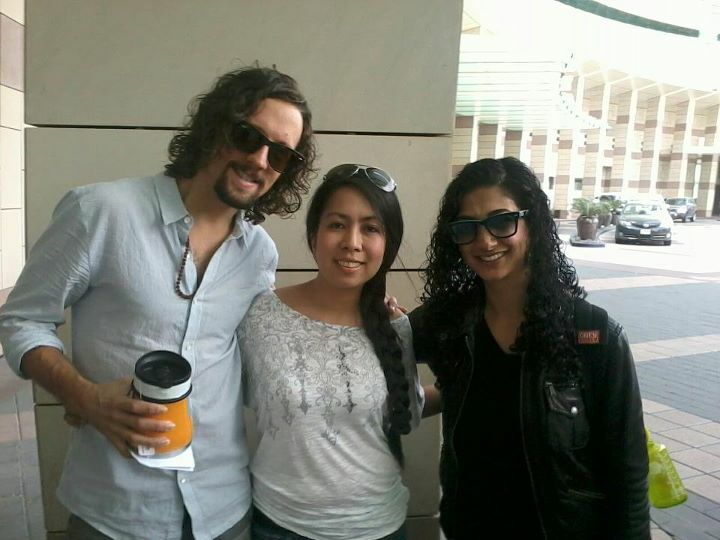 While waiting, I tried to make a conversation by asking them if there was a Meet and Greet with Jason Mraz, telling them that I am a big fan. I already had a plan even before asking them (I was planning to go to the hotel and wait for him at the lobby to have my own meet and greet), but I asked anyway. They were all really nice. Though they haven’t given me the exact details, they were really helpful enough and I was encouraged. They even referred me to a guy who might be able to help me see Jason. Tips such as writing a letter to their office for M&G inquiry, arrival time range, and a contact person were really very encouraging.This may look crazy & even stalker-ish, but no that wasn’t my intention. All I want is to meet him and thank him personally. I have then made a set of “plans” of my own since there aren’t any M&G contests that I know of at the moment. I had Plans A-D. Plan A was scratched off immediately because I am a “Little Ms. Late”. Plan B was the most feasible for me, while Plan C was just a backup. 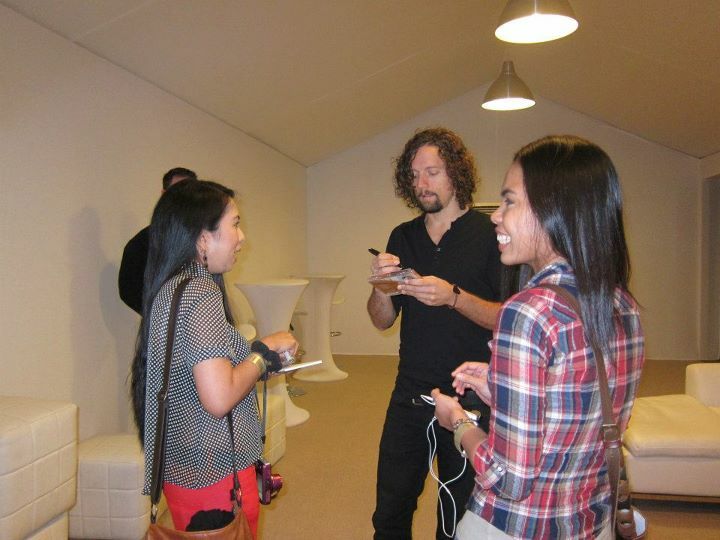 I had Optional plans that I didn’t consider much because I was really aiming for Plan B.
I prayed really hard for me to meet and greet Jason Mraz, and it’s perfectly clear how I wanted it to be. I want to meet him, talk to him for a bit, tell him how grateful I am (a card is essential because I knew that I might be dumbfound & possibly rushed), and of course, the typical fan-thing: a hug and a picture). I prayed with all my heart and thought about these things at the same time. I knew I had to see him and haven’t really thought about failing. I was mostly focused on Plan B.
I browsed online on different Facebook pages of the event’s sponsors to check out if there were any contests. I joined at the contest of MyDubaiMyCity.com hoping to win a Meet and Greet. Front row tickets be a great bonus, of course. I had a great feeling about this though. I always get that gutt feeling. February 22, 2012, my Plan A failed. I was glad that I didn’t push through with it though, because apparently, he arrived 2 hours later than the schedule that I knew. Plan A.1 failed too, because it was Ash Wednesday and of course, especially at times like this, I put God first, and the rest to follow. (Off topic, I went through fasting and abstainance this Ash Wednesday wherein the only full meal I had was dinner at past 10pm — took it after mass, after running through bad traffic). I also joined the contest in Dubai Festival City’s FB page, in which you’d participate in a raffle by answering 10 questions. At first, the application wasn’t working. Then thankfully, Jill posted the link in her wall and I was able to open the page. I was really very hopeful for this, but since this is an electronic raffle (I assume), then I can’t be too sure. On a side note, I know that I’d do anything to personally thank Jason. So, whatever happens, I am set to meet him. Since I kenw that my roommate Jill was still awake, I whispered: “Jill, I think I just won front row tickets.” O.O We were both really surprised and happy. But there was a bit of a dilemma: I invited several friends and one of them who was going only knows me and Jill, thus, if I take Jill with me at the front row, I would need to ditch her–not really my kind of thing! February 23, 2012, I was late for work which isn’t a surprise anymore. After half an hour of settling in, I got a call from my new friend telling me the time of Jason’s sound check. He offered to take me to the hotel and wait for him to pass by on his way to the venue (no, I can’t come in at the venue). I hesitated at first, but then again, I thought about the moment… Something came into me and thought of that significant story about defining our future by how we act at the moment in front of us. After being reminded of such, I thought: “what the heck! I’m going.” For all I know, I might not see him. He might not even be there doing his own soundcheck. Oh darn! I don’t have my camera with me. I didn’t even bring my CD. My attire wasn’t even pretty enough. I was not prepared at all. Just a few minutes before leaving, I decided to write him my gratitude letter. It was the only thing in my plan that I could do at the moment. I haven’t found a card earlier so I just got a piece of paper and poured in. I know I still haven’t said enough, but I guess that would do for now. I wrote that letter because I know that when I see him, I might be lost for words. I know that the limited time won’t allow me to explain further. I know that writing a letter is the best way to express how I felt at that moment. It was necessary for me to give it to him. From what I could recall, Jason thanked me (in advance) for attending the show and said he couldn’t wait too, and he was excited to play and looking forward to it (or me being there). I handed Jason my letter and told him that I wrote it all down because I knew in advance that I won’t be able to speak to him clearly. I told them that I am trying to keep my composure and I am very nervous. They both said that I was doing a great job at it. (I still can’t believe how surreal that was!). Jason held my letter and thanked me. I asked him and Mona if we could take a picture and they graciously said yes, told me to stay in the middle. I instinctively handed my phone to my friend (after checking if my phone works–yes I was dumbfound at that time! ), and we got the picture. Jason and Mona asked me to check the picture if it was captured, just to make sure. I said yes and thanked them both. Jason and I hugged again and it was really touching for me. I asked Mona for a hug too and then I said goodbye to the both of them. Everything was surreal and I am still in the state of being overwhelmed about what had just happened. I did not expect for that to happen at all. address. I was hopeful but really unexpecting already, because since I wrote my email address through a comment which is publicly seen, it could be just anybody too, toying around. I was still decided to push through with my Plan B. I want my CDs signed and I want to see Jason actually signing it. I just want to have another moment with him. At around 4pm, I felt my heart beat faster than the usual… I was feeling nervous. I thought, maybe Jason was already reading the letter that I gave him. The thought of that was even more nerve-wracking! I wasn’t sure what had just happened. What good have I done? No, I am not questioning the blessing and the luck combined at all. I was just overwhelmed by the things that are happening to me. I am very grateful to God for answering my prayers and giving me the opportunity, way better than what I’ve prayed for. I gladly and excitedly told my friends about it. But then again, I can never be too sure. Unless I get the tickets, only then I could be sure that it wasn’t a fraud. Only then shall I cross out Plan B and obviously, Plan C.
We arrived at the concert venue some time around 8. I’ve been thinking of who to call first, if I should call the lady of DFC or the guy from MyDubaiMyCity.com. Shall I call the VIP+M&G first or the Front Row tickets? I can’t even decide too which seats shall I take. I called the lady of DFC first. She told me that she was just about to call me. I had to get in by 8:45 pm so that they could take me to the room where the meet and greet was going to happen, which would take place by 9:15. Oh My GOD! This is really happening. After our phone call, I instantly called MYMC for the front row tickets. He said that they would be back in around 45 minutes, which doesn’t really give me the time to pick it up before 8:45. Time flew by so fast and I decided to take Jill with me to the Meet and Greet and both of us couldn’t really believe what was happening and what was about to happen. We waited, patiently. I finished writing at the card that I bought (I thought it was more proper to give him a card, but I was already lost for words by that time, thinking that in a few minutes, I get to meet him again). We were then asked to go inside the room. 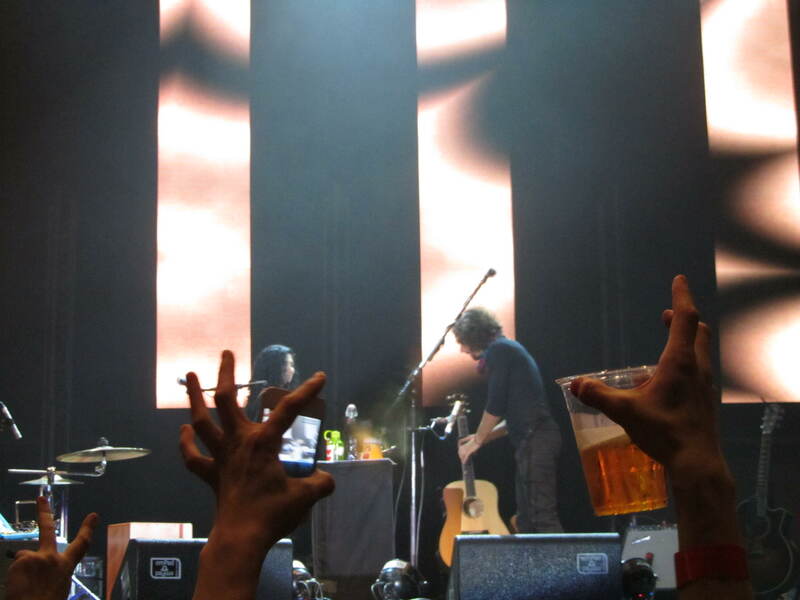 In a few minutes, Jason Mraz stepped in. He approached and talked to those who were inside, one person/group at a time. I told Jill to move back so that we could be the last one. We were the last one. I recorded the audio and I still couldn’t believe everything. I tried to be normal, to be composed the best way I could. I tried to make my brain work. At some point, it did, but obviously, it crashed too! As we approached Jason, we hugged the moment I said “Hi Jason.” I gave him my card, explaining to him that I thought it was more appropriate to give him a card too (apart from the letter). I gave him my CDs, and Jason said “Do you want me to sign this for you, Katrina?”. I was surprised. Jill said “Oh you now know her name” and I joked around “yes, I’m cool like that.” After a few pictures, brief (and me being dumbfound in the) conversation, we were “almost” done. The conversation among the three of us was really spontaneous (but you can hint how nervous I was). Once Jason signed our stuff and had the picture taken with us, we were hinted that we were done. Rania, the lady who was in charge guided us very nicely for our way out by asking Jason for the lady photographer to also have a picture taken with him and hinting us that our time was up. 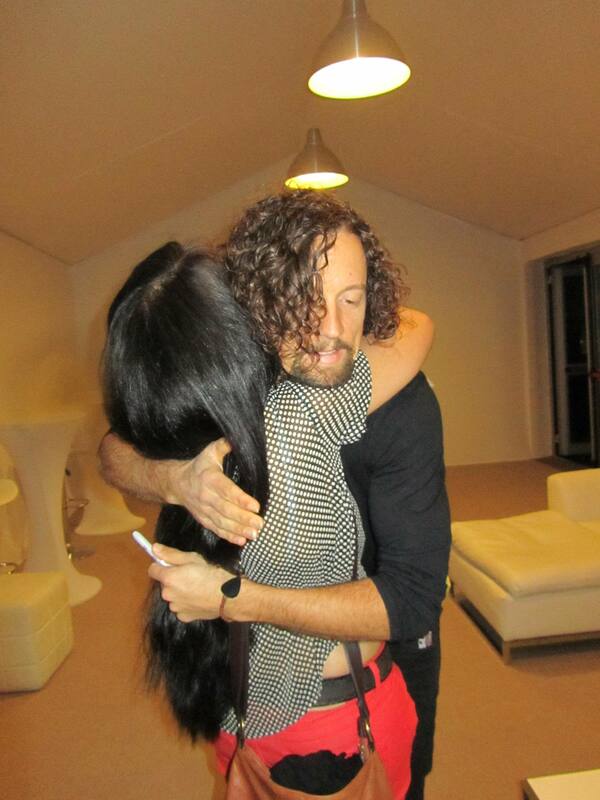 I hesitated and asked that I want one more hug from Jason. Rania nicely joked that she could give me a hug instead. We hugged, but still I patiently waited for the lady photographer and Jason’s picture to be over. I prepped my camera and asked Jill to take a photo. I asked Jason again for another hug and he graciously gave me one. I enhaled deeply and closed my eyes. He smelled really good. Very natural, very fresh. His scent reminded me of how connected he is with the world and it is very refreshing. That was the moment, one of the warmest and most memorable seconds of my life. I am very grateful for that. I said goodbye for the nth time and thanked him for the nth time too. I was still in disbelief of what had just happened. Jill and I made a last song request, hopeful and a bit expectant. Jill and I went out still overwhelmed by everything. I looked for the guy from MYMC to claim the front row tickets. Shylla, Jill, Ellen and I went inside, all together this time. I felt really bad, having Shylla and Ellen wait for us outside (since I didn’t have the ticket yet before Jill and I disappeared for the M&G). 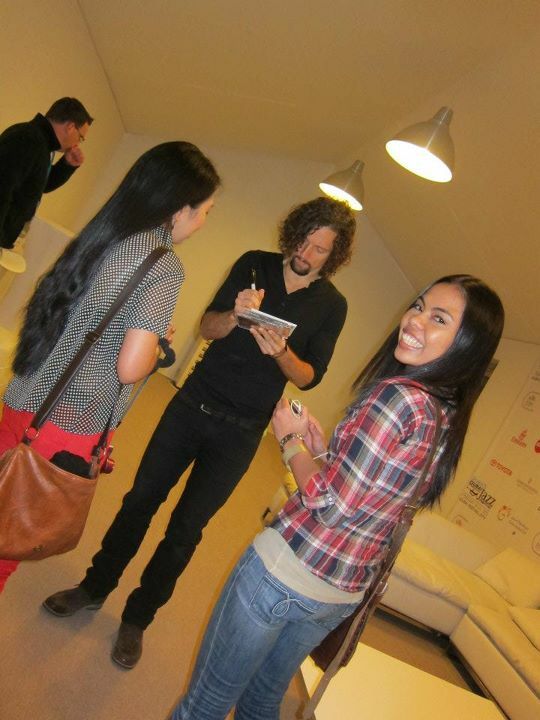 Shylla really sounded pissed and at that time when we were gone for the M&G, there wasn’t really anything I could do. Moving on, I had my post-fan-girl video interview for DFC and then I went on with my friends to watch the show. The show started by 10:30pm. 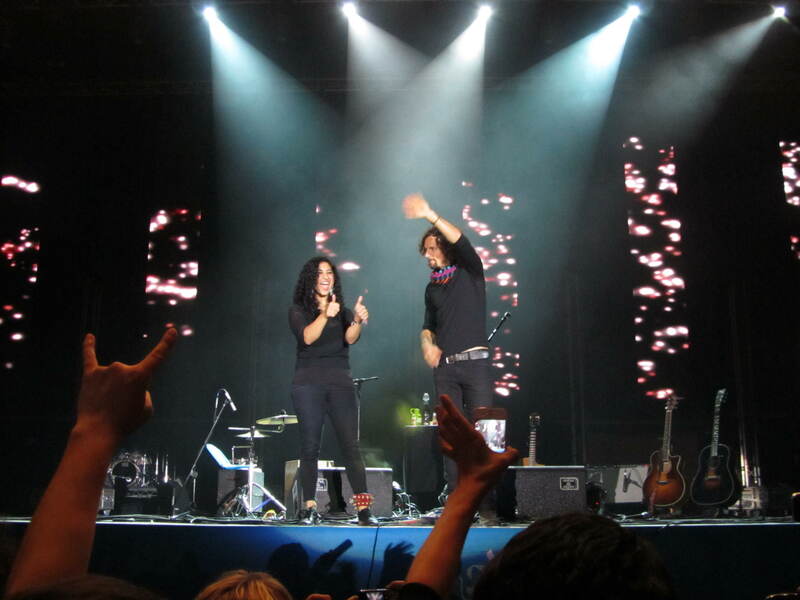 Jason Mraz and Mona Tavakoli graced the stage with their presence and delivered really well. 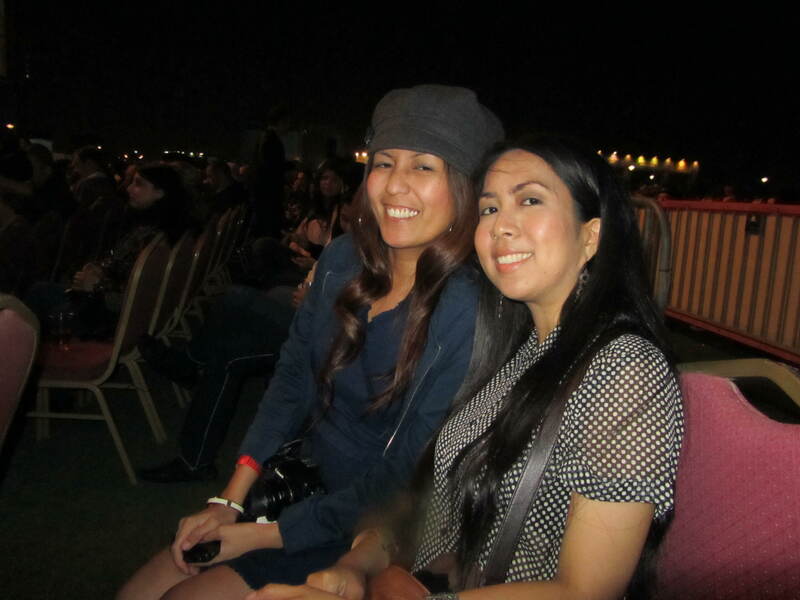 We were in the “Front Row Area” but our seats were already at the last row, on one side of the stage. My view of the stage was at a 45 degree angle which wasn’t that bad at all. 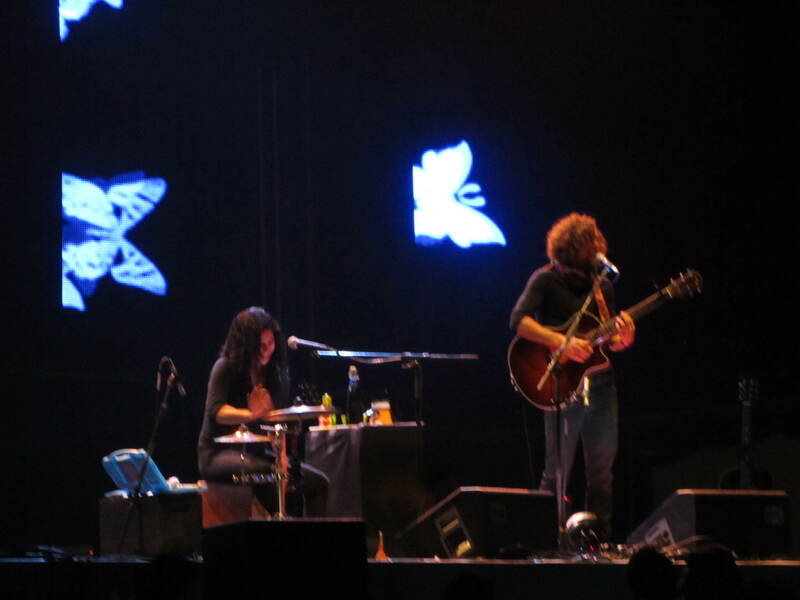 I was in the zone of being mesmerized with the music and words being played that night. There were opportunities for me to move forward and take a 12 o’clock photo of Jason and Mona, but I didn’t take it immediately, as I was waiting for them to play “If It Kills Me.” In my mind, I wanted to stand up and take that shot when I am in the “zone”–wherein they’re playing my perfect love song while I, together with the rest of the fans, are singing. Only then, when that full connection, will I be in the zone. I really enjoyed just being there in my seat, feeling the love, the warmth, being present in the moment while they were playing on stage. I was at peace from where I was at. It wasn’t necessary for me to move and jump around for excitement and go crazy anymore. I was content, and that was the happiness that I was looking for. I honest-to-goodness really couldn’t ask for more. It was perfect. When they started playing The Remedy, I knew that I had to stand up. I asked Shylla to join me. She was a bit hesitant but then she did. Most of the people stood up too. At first, someone from the middle row was asking us to sit down. But upon seeing that most in our area were already up, I ignored. 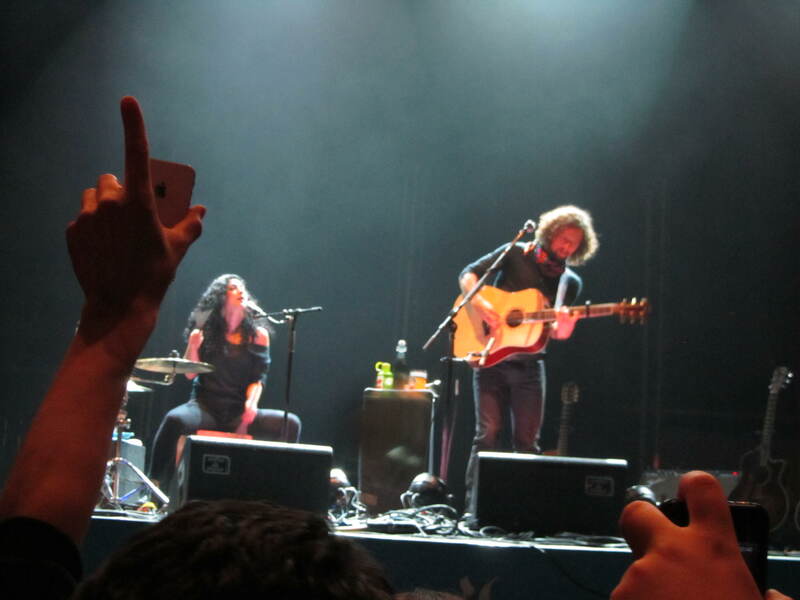 That was their supposed last song. 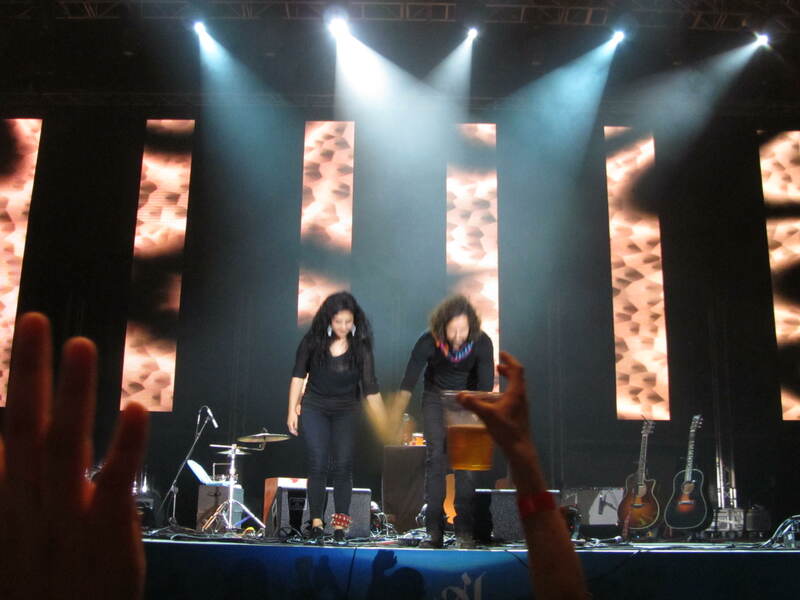 They left the stage, and after much demand for an encore, Jason and Mona went back out and played I’m Yours. The show ended with I’m yours which lasted for about 9 minutes. How I wish it did not end. 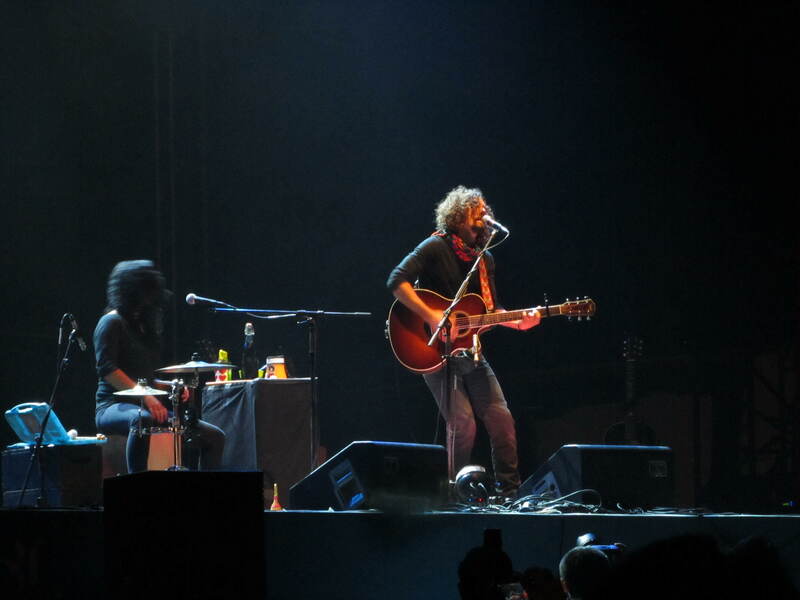 Jason played really well wish such an amazing vocals, superb guitar playing, and spontaneous improvisation. It was very surreal. 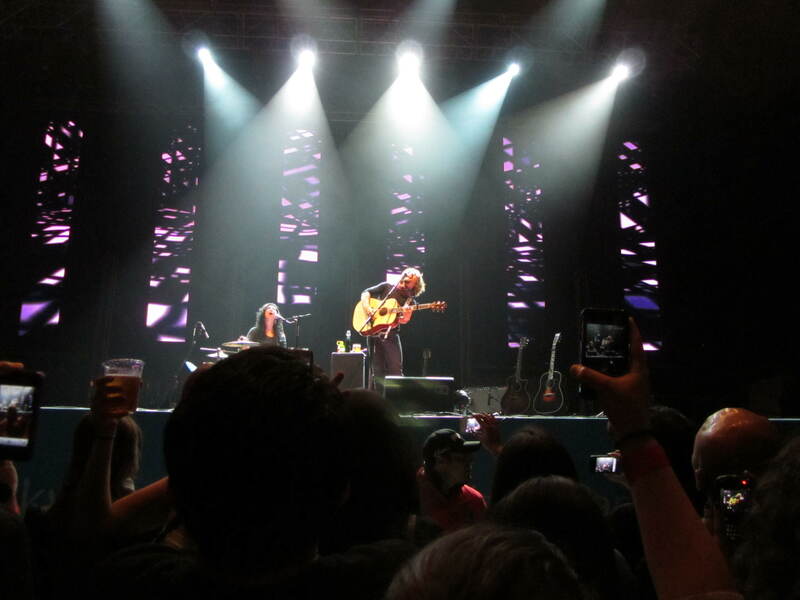 I wish I aslo stood up too at the start of the show… What if Jason sees me in the crowd? Would there be a surprise or a shoutout or something? I don’t know… But I remember that at that point when I was watching the show, I was at peace and very content with where I was at. My heart found the right place and I was grateful and happy. How can I ask for more, granted that I was very blessed already? I mean, it was the night!I wish they played the song If It Kills Me, Sleep All Day, and I’ll Do Anything… Songs which had been played a million times on my playlist continuously. I wasn’t disappointed, I just wished… But overall the show is definitely awesome! I guess it’s something that I would look forward to the next time around. For sure, there’ll be a next time. I also wish that I asked him about the project he’s been working on when he mentioned it. I wasn’t able to react because my brain died at this time. Now this is a conversation that I should take up upon him the next time around. I just hope he could still remember me next time. I am still in disbelief of this surreal experience. 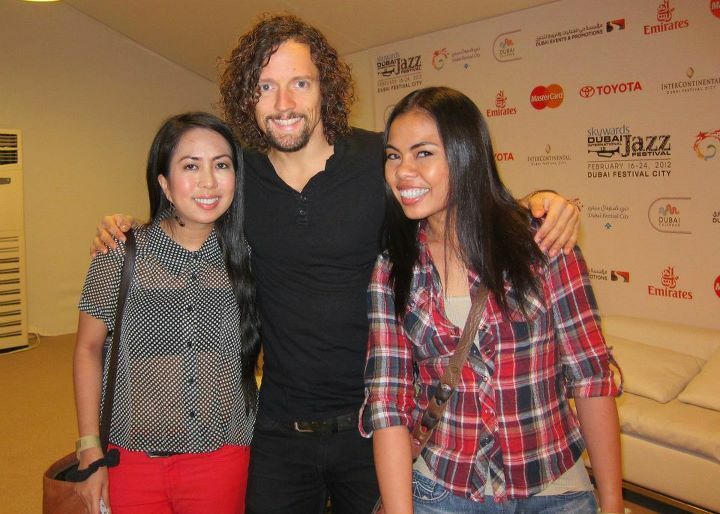 I was very lucky, fortunate, blessed to have friends come with me to the show, to have won 2 pairs (in 2 different occasions by different sponsors in less than 24hours), watch Jason Mraz perform live, and of course to finally have met him in person. I am overwhelmed and very grateful for the impact of his music in my life, and much more grateful to our God that he answered my prayers of personally thanking Jason for his contribution in helping my heart and soul be at a better place. I don’t know how long this hungover will last (and I know that being hungover means probably being depressed or sad at times that it’s all over and I would want more… or just becoming totally insanely happy about everything which would make me look forward to the brighter future ahead!). Did that really happen? I suppose yes. And it was amazing. I don’t know if Jason would keep the token I’ve given him, or remember me afterwards. I hope he does and I hope that somehow, I’ve also touched his soul and and brought his heart peace and happiness, returning the favor he has subconsciously done to me. But whether or not this happens, I am and will always be grateful, because the moment it all started, I was forever changed.